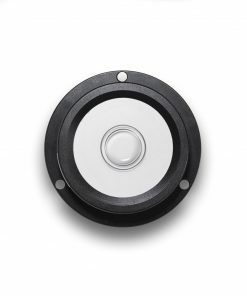 Bubble Levels: C Series Bullseye Bubble Levels - Rieker Inc.
Also referred to as a “bulls-eye” level, the C000X Series of Circular Bubble Levels provide accurate measurement of level in a rugged machined Aluminum housing (Anodized black). Several sizes available to fit any space requirement. 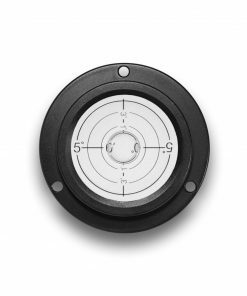 Manufactured to exacting specifications, the accuracy is guaranteed and maintained through the use of precision ground glass and machined Aluminum. Rigorous testing completed assuring high performance over long-term all weather conditions, including industry standard ASTM Salt Fog survivability. All bubble levels is filled with a special damping fluid that controls the movement of the bubble, for smooth accurate readings. The fluid combined with large, clear markings make it easy to get quick, accurate readings under a wide variety of severe environmental conditions. 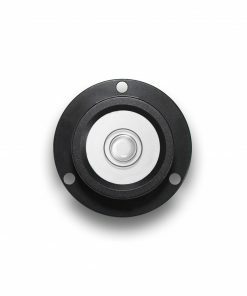 These precision circular bubble levels have three mounting holes for installation convenience and calibration. 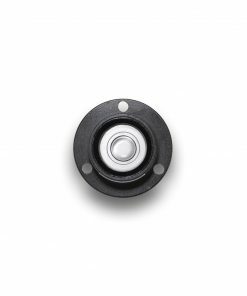 Since most mounting surfaces may vary, for exact zero calibration the C000X-A models all come with mounting hardware. Mechanical Inclinometers are instruments for measuring angles of slope and inclination of an object with respect to its gravity by creating an artificial horizon. It is also known as a tilt sensor, tilt indicator, slope meter, slope gauge, gradient meter, gradiometer, level gauge & level meter. 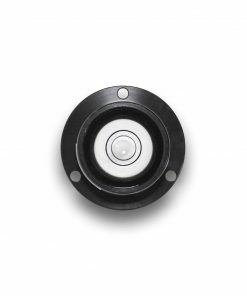 An inclinometer is commonly used in different industries like Aviation, civil engineering, Government, Marine, Military, and Transportation for platform leveling, boom angle indication, and slope angle measurement. The tilt angle range is the range of desired linear output measured in degrees. Important specifications to consider when searching for tilt sensors and inclinometers are the tilt angle range and number of axes.